* B-Stock item because customer returned it as it was too advanced for them. It has barely been used with very light signs of wear, comes with all packaging & accessories & full warranty. 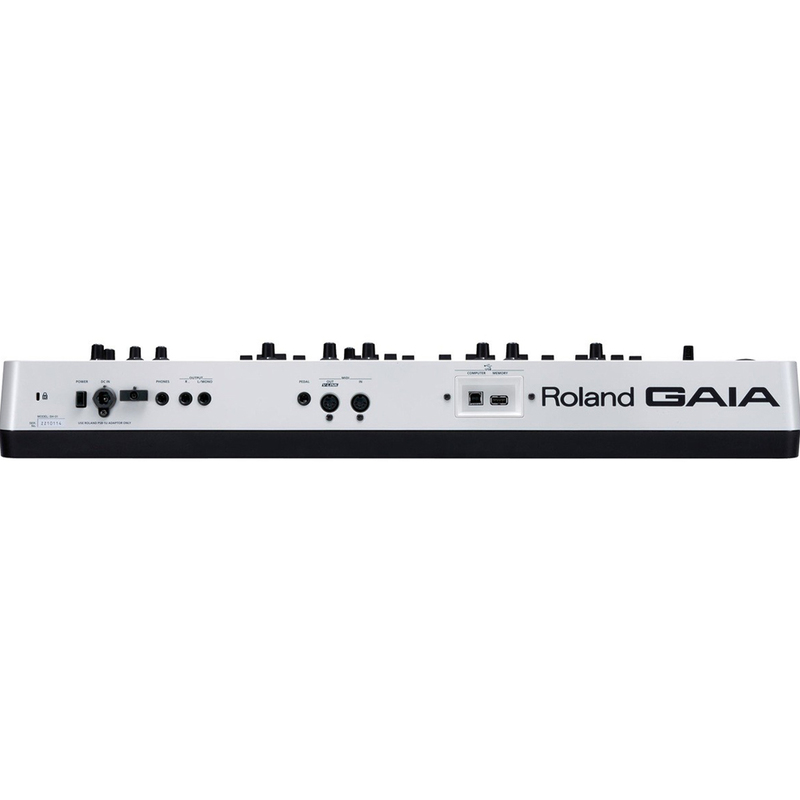 The GAIA SH-01 is a compact and lightweight Roland synthesiser with incredibly powerful sound. It has three virtual analogue engines, each with a dedicated oscillator, filter, amplifier, envelope, and LFO. It’s like having three synthesisers in one! The fun, hands-on control panel is great for instant gratification, with no hidden menus and no nonsense. Just play and move the knobs and sliders, or wave your hands over the invisible D Beam for dramatic effects. Its logical design also helps beginners understand synthesis. With the SH-01 you can layer up to five simultaneous effects, including distortion, flanger, delay, reverb, low boost, and more. Dedicated control knobs are provided for tweaking the effects in real time. With 64 polyphonic voices onboard, the GAIA SH-01 makes it possible to play massive sounds without experiencing note drop-out. 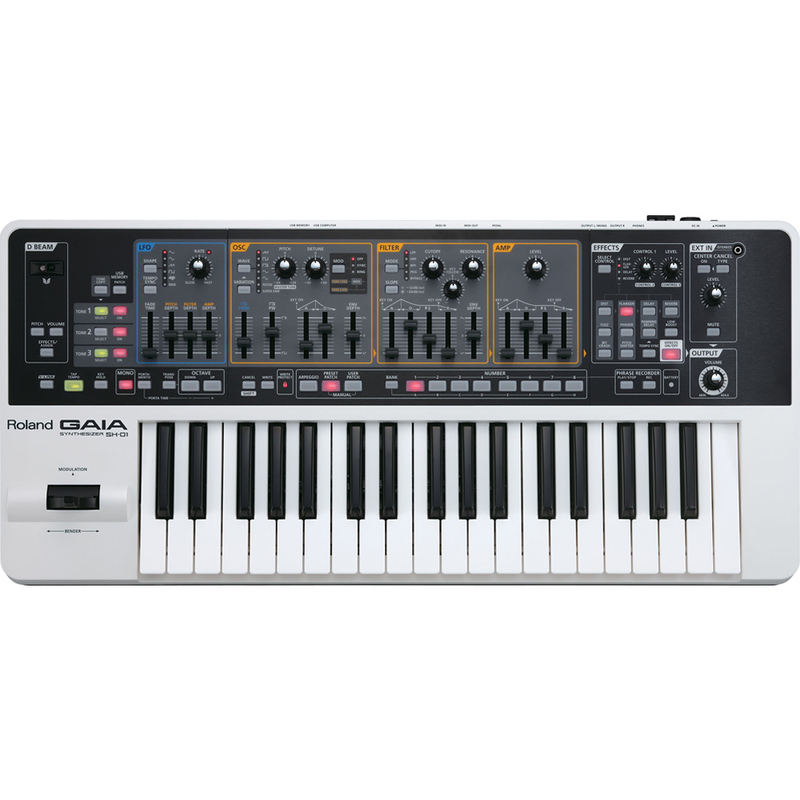 Additional features include an arpeggiator, tap tempo, and an onboard Phase Recorder that lets you record what you play in the keyboards as well as the movements of the knobs and sliders. The controller data can also be played back independently to compliment the notes you play in real time. The SH-01 is portable and convenient, and runs on AC or battery power. The 37-note keyboard is full-size, however, so performers can play naturally and comfortably. Connect directly to a computer (Mac or PC) via USB, and stream audio directly to the software of your choice. 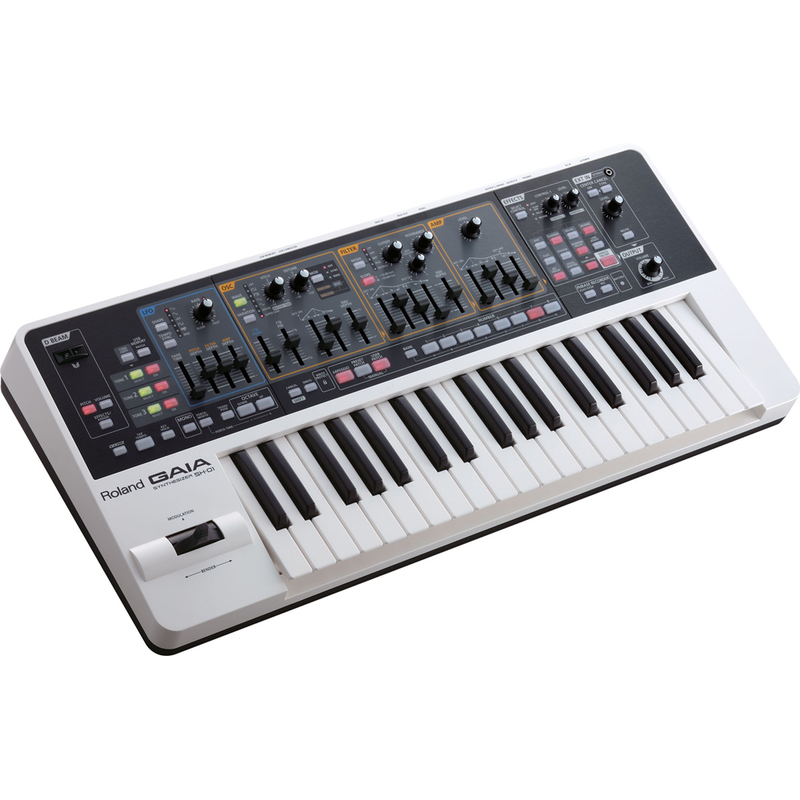 The SH-01’s USB ports can also be used to transmit and receive MIDI data, and to store your patches and phrases to a USB memory stick. The SH-01’s EXT input lets you connect external audio sources such as an MP3-player and play along with other songs or backing tracks. Manipulate the incoming audio with three Center Cancel modes, which let you eliminate pre-recorded vocals, guitars, or bass.